The title explains the book itself. In the eighteenth century, a woman gives birth to Grenouille. Grenouille is very strange, to say the least (one strange thing about him is that he has no scent.) The story just continues to follow Grenouille’s life. How as he grows up, he captures scents and then gets obsessed with making perfumes. Then, he comes upon the scent of virgin girls and from there, Grenouille wants to make the ultimate perfume. Just in case you’re wondering, to capture the scent of a person, he has to kill them. I know, disturbing, but the book is about a billion times creepier than what I just described. This book has received many awards and lots of praise from fellow reviewers, but quite honestly, I didn’t enjoy this book. It’s just my personal taste. The descriptions of the odours were so accurate. I wonder how Süskind pulled it off. How can somebody describe odours like that so accurately? It makes me feel like I’m smelling the actual scent right there and then. The writing style was nice. The writing has a flow to it and the descriptions have many details which evokes great amount of imagery for the reader. This sentence goes on for a while. 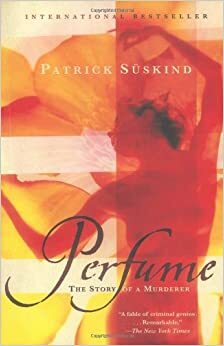 Süskind’s writing is truly a masterpiece which is evident here. The words etched with this flow that can make a sentence this long, feel priceless instead of making you feel breathless. It takes Süskind forever to describe one thing. I love details, but at one point is gets very frustrating. The plot is slowed down because there are too many details on something that doesn’t really matter. It literally takes two pages at one point to describe how the perfumer Baldini isn’t successful and how Pelissier, his rival, doesn’t make proper perfumes. This book is supposed to be about murder so how come it takes about half the book before it really gets there? *Grrr* It is the story of a murderer isn’t it? That’s why I chose this book! However, half of the book is just describing Grenouille’s life and him growing up. By the time we get to the murders the book is about to end. The plot is really slow for the first half of the book because I wanted to read the gruesome killings! Background information shouldn’t take up so much of the book. I thought about quitting this book many times, but somehow I found the will power to continue. The characters didn’t have much to them. I felt like I couldn’t connect to the characters because there wasn’t enough description about who they were. Grenouille is made the center of attention so much that the side characters weren’t as good. Maybe we could have had a build up of the girls he murdered. I just wanted to be able to feel for the characters and understand them instead of just feeling like a stranger observing and missing all the action. The ending scene (near the end at court) did not make much sense. I am all in for unique endings, but I didn’t like this one. The very end, I did like, but just not the scene before at Grenouille’s trial. All the men and women smelling his scent and then letting him go free for murder? It is crazy! I felt like it was too dramatic and unrealistic. The thing is, up until that point, even though the book was strange, everything felt realistic in a dreamy (or should I say nightmarish) way. This scene just ruined everything for me. The built up crashed down to a puddle of confusion which made this book seem like a fantasy or science fiction. It like one of those scenes my grade 6 teacher would call a not planed scene. When you don’t know what to do in a piece of writing, so you write the world explodes or you wake up from your dream… I was really disappointed with this, and at this point, after the dull plot in the beginning, I was in a bad relationship with this book. This book had great writing but the plot and characters ruined it for me. I don’t recommend this book, unless you like the premise, and have a lot of free time to deal with the long descriptions. It’s all my opinion though, so if you want to try this book, be my guest. There’s a huge chance you’ll like it, since the majority of people do. My final rating is 2 out 5. 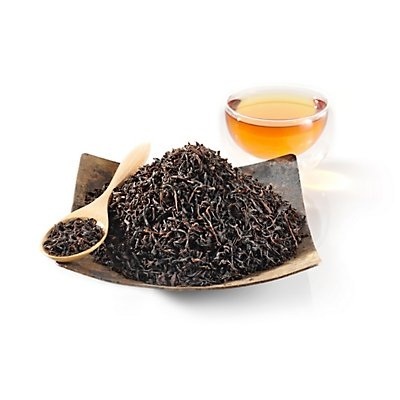 This English Breakfast Black Tea is the closest there is to French Tea. It still suits this book, with it’s darker flavour. Posted on February 10, 2015 by teamingwithbooks. This entry was posted in 2 stars, Bitter/Dark Tea, Classic, Historical Fiction, Horror, Mystery, Simple Tea, Thriller and tagged English Breakfast Black Tea, Patrick Suskind, Perfume, Review. Bookmark the permalink.